Despite the myraid supply chain management approaches that have been spawned over the last decade or more, retailers have been unable to put a dent in out-of-stocks at store level, Why is that? 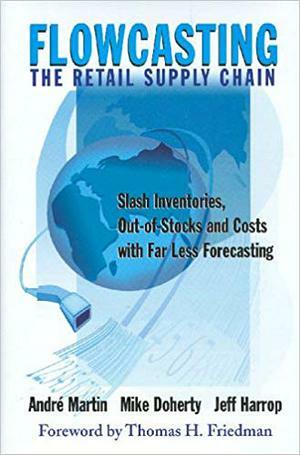 Andre' Martin, Mike Doherty, and Jeff Harrop- all experienced practitioners, consultants, and implementation specialists in the field of time-phased supply chain planning - have been asking themselves the same question and have come to the conclusion that 1) far less forcasting is needed in the retail supply chain and 2) the only forecasting that needs to happen is at the store shelf. Flowcasting the Retail Supply Chain outlines a breakthrough approach for supply chain planning that mimics the natural flow of products from the factory to the consumer. It is the first and only approach that truly puts the consumer front and center when planning the supply chain.